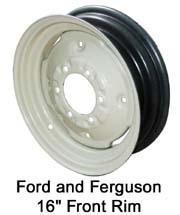 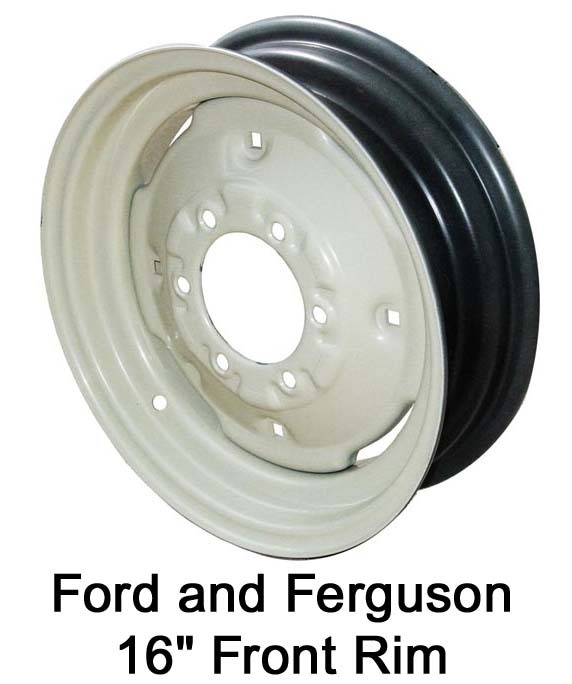 Ford 9N, 2N, 8N, NAA, Jubilee, 600, 700, 800, 900, 601, 701, 801, 901, 2000, 4000 front and rear rims. Please be careful when ordering rims. 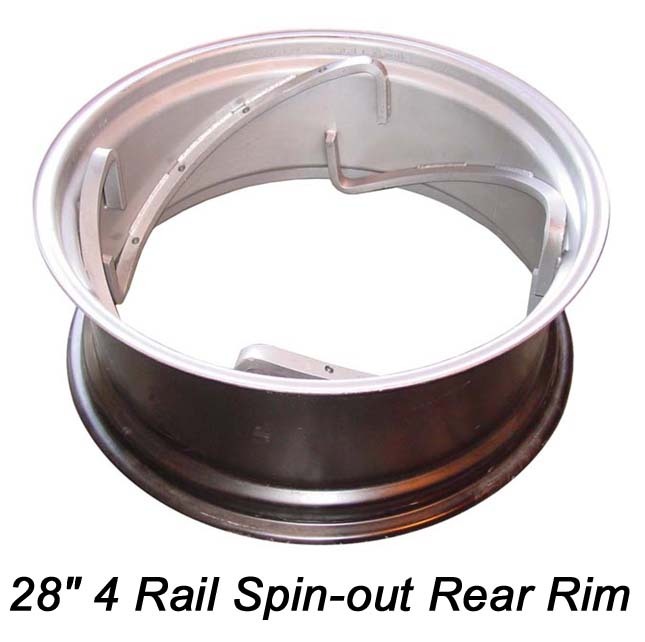 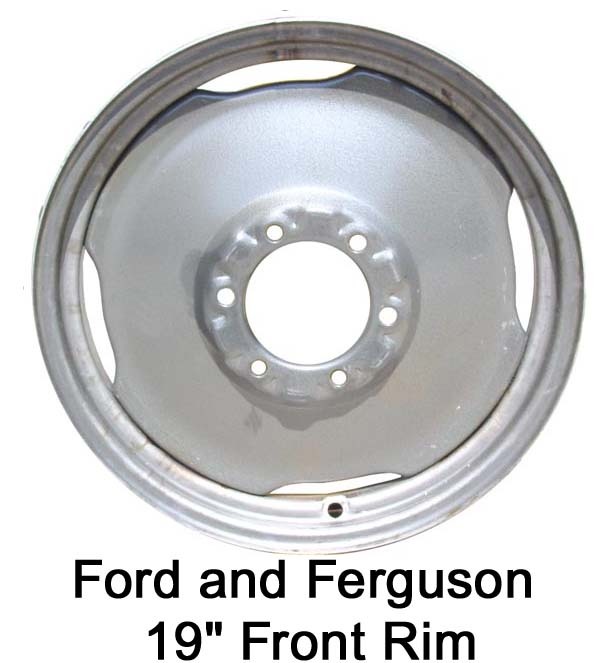 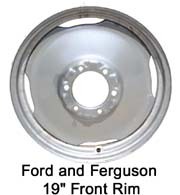 Early ford 19" front rims have two different center (pilot) hole sizes. 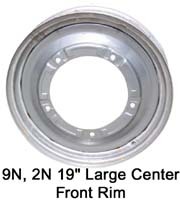 Rear rims are available in several different widths. 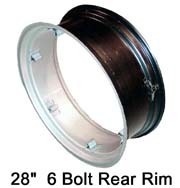 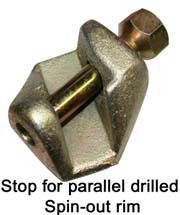 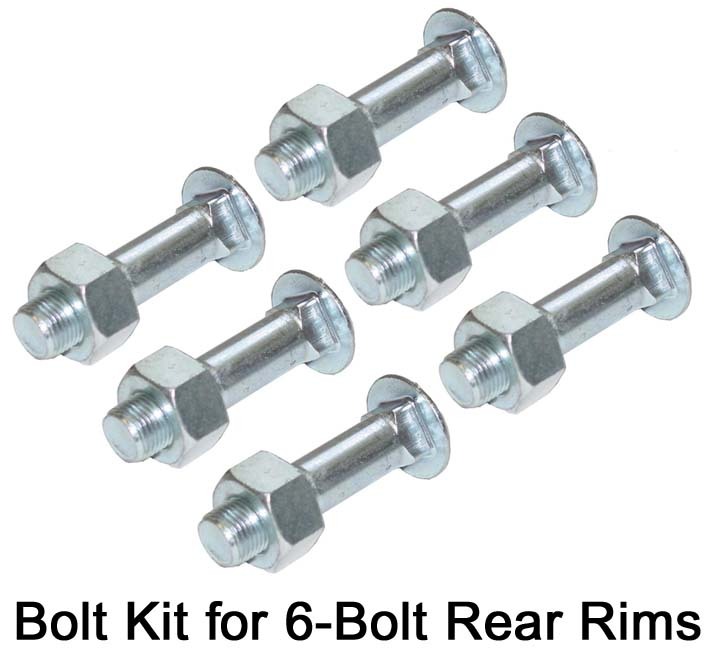 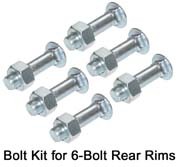 We recommend measuring your rear rim width from inside bead to inside bead before ordering. 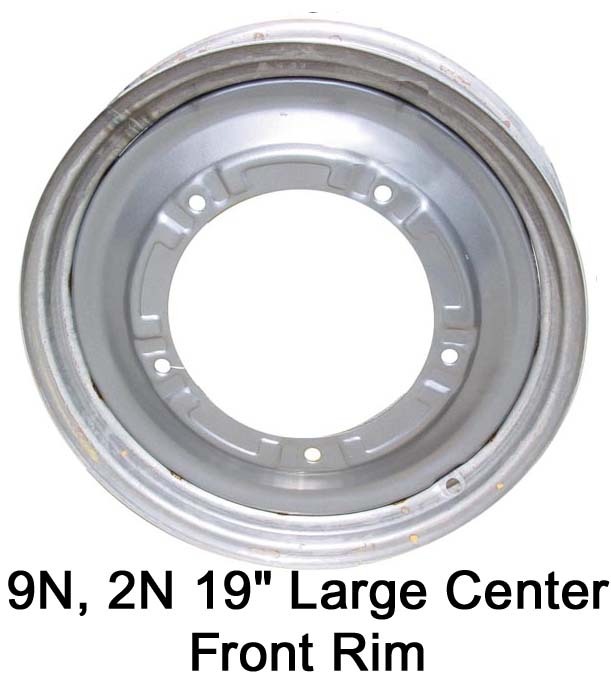 Do not trust the rim width marked on the tire if you are only ordering one rear rim.